NEWTOWN, Conn., and DENVER, Colo. – The National Shooting Sports Foundation® (NSSF®) announced today that the International Hunter Education Association (IHEA-USA), the world leader in developing safe and responsible hunters since 1949, has become a promotional supporter of NSSF’sProject ChildSafe® program. Through its partnership with Project ChildSafe, IHEA-USA will help spread the message of “Own It? Respect It. Secure It.SM” and “Store Your Firearms Responsibly” by working with its statewide directors and hunter education instructors through its newsletter, website and social media platforms. NSSF launched Project ChildSafe in 1999 (prior to 2003 the program was called Project HomeSafe) as a nationwide initiative to promote firearms responsibility and provide safety education to all gun owners. While children are a focus, Project ChildSafe is intended to help young people and adults practice greater firearm safety in the home. The program was originally supported by federal grants provided by the U.S. Department of Justice. Since 2008, when this funding was cut, the firearms manufacturing industry has solely funded the Project ChildSafe program through the members of NSSF. IHEA-USA is the professional hunter education association affiliated with the Association of Fish and Wildlife Agencies and the 50 state hunter education programs. The programs employ 57,000 instructors, many of whom are volunteers, who teach hunting and shooting safety and responsibilities throughout the United States. Hunter education courses train and certify more than 670,000 students annually. 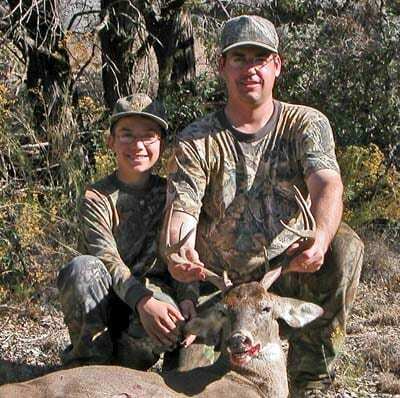 Since 1949, almost 40 million students have completed hunter education courses that cover firearm safety, bowhunting, wildlife management, and field care of game, responsible hunting, landowner relations, wildlife identification and much more. More information is available at ihea.com.